Often overlooked by many homeowners, doors aren’t just functional, they are a key part of a home’s design. A home would seem unfinished if its doors weren’t as well executed as the rest of the property’s design. At Install-a-Door we understand that doors can bring a whole space together; they’re the final piece of the puzzle. What better way to integrate all parts of your exterior and interior design than by using our doors from Parkwood? The name doesn’t do them justice, these doors are no longer basic farm style doors, they are pieces of art. Our barn style doors are crafted from the finest timber bringing a sophisticated look to any space. We supply a range of finished and raw Parkwood barn doors, suited for both internal and external use. 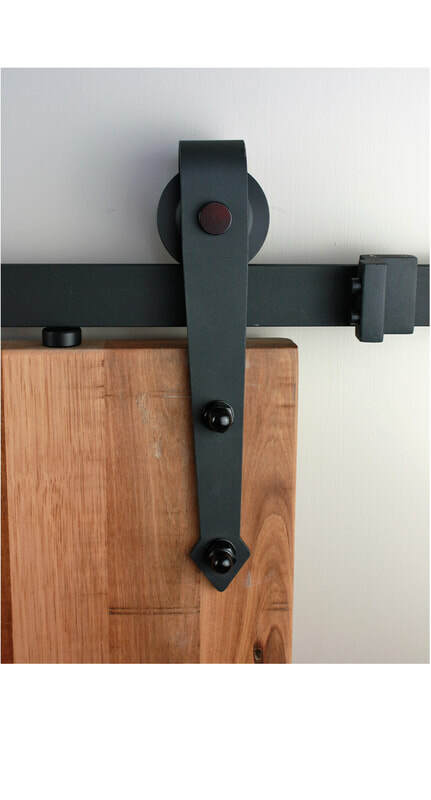 We also supply barn door tracks and all the other accessories, like barn door handles, that you’ll need to complete your home design. 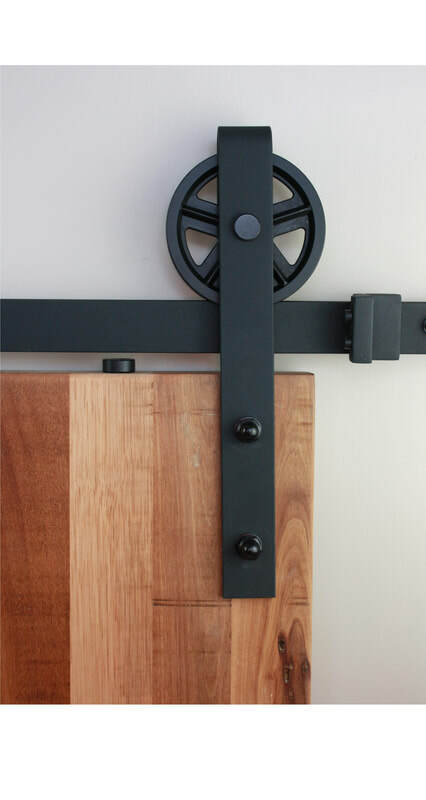 Our barn style interior doors can be converted to sliding barn doors, using our elegant range of barn door tracks. 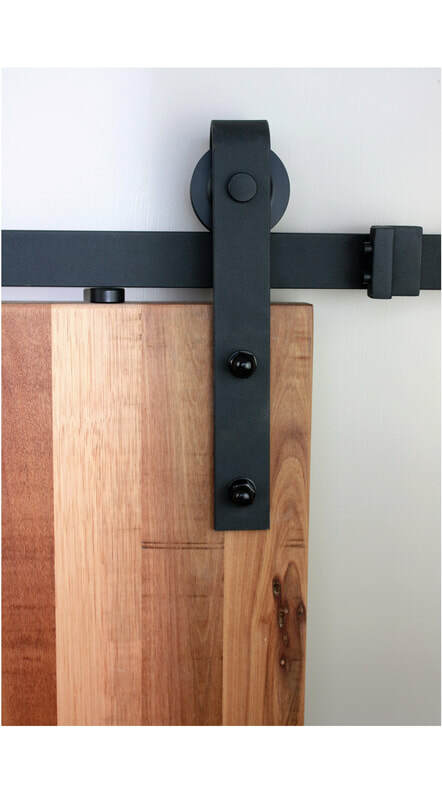 This small addition will add a certain allure to your barn door, as well as add a space saving element. Our range of stylish barn doors are extremely versatile, they’re compatible with a range of design styles. Whether you’ve got a contemporary, classic or designer style home, our barn doors will only enhance and complete your home’s design. Raw, finished or painted, these barn doors are multifaceted; adding texture and style to your home. If you’re looking to open up a space, but still want the option to be able to divide it. Or if you want a striking front door that will impress your guests, then you should consider a double hinged barn door. Whether it’s inside or outside, double hinged barn doors make a statement, as well as increase the functionality of a space. Barn doors can be an expression of your individual style; they are guaranteed to make your home stand out from the crowd; your neighbours will be envious. Use them in a variety of ways throughout your home to add texture, warmth and sophistication; our range of quality timber barn doors will enhance any interior or exterior space. If you’re looking for the finest timber doors on the market, then get in touch with Install-a-Door today. Our team of experts will guide you step by step through the process, ensuring that you get the best suited doors for your space. View our range of elegant doors or find out more below.